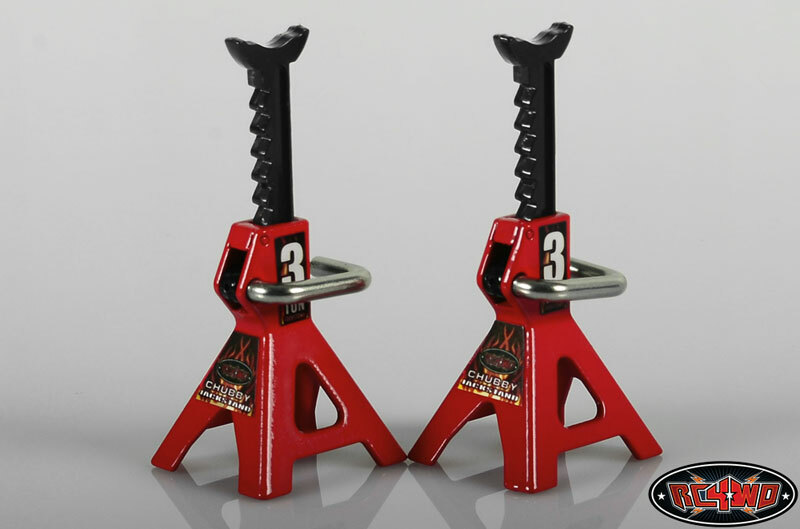 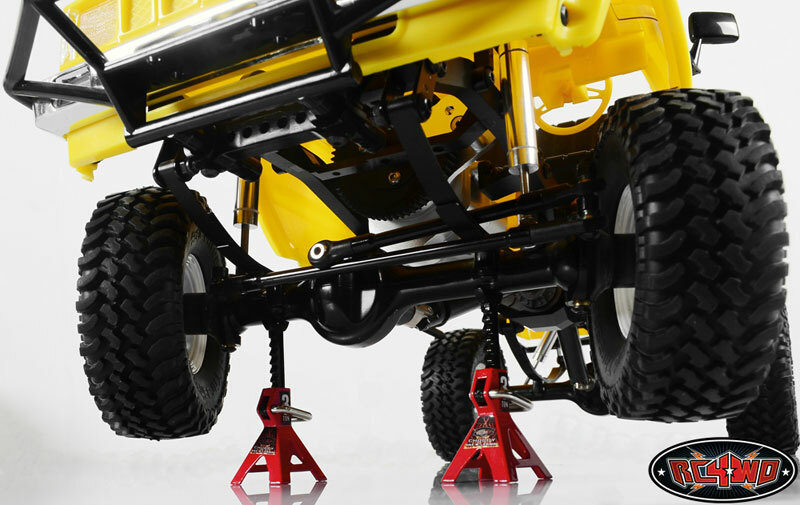 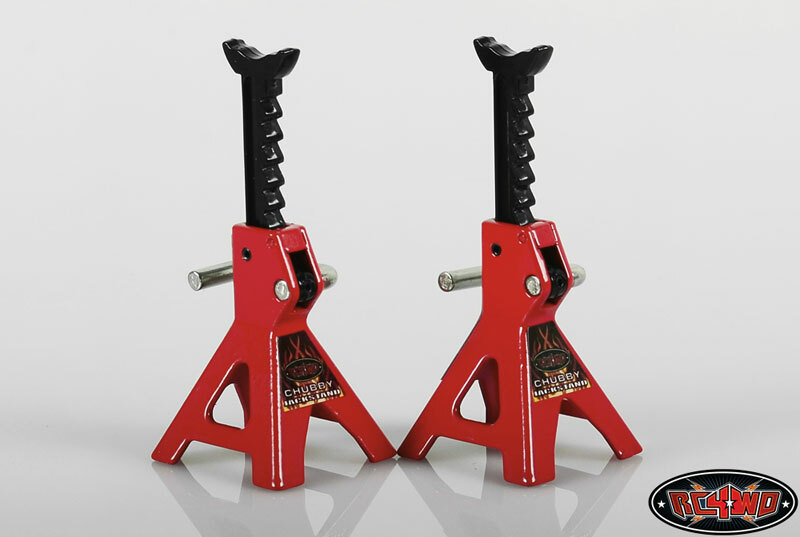 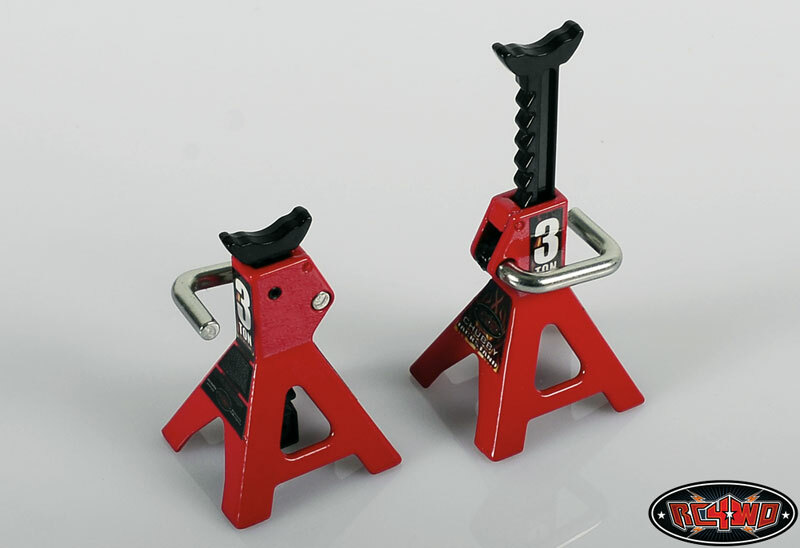 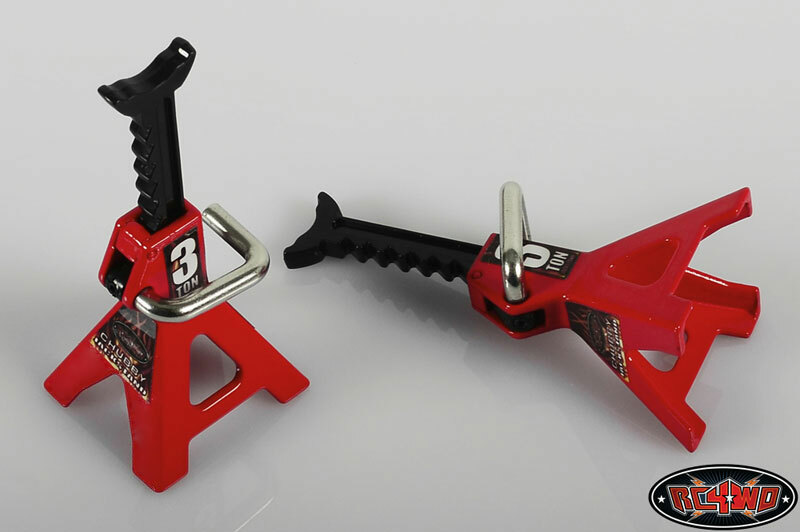 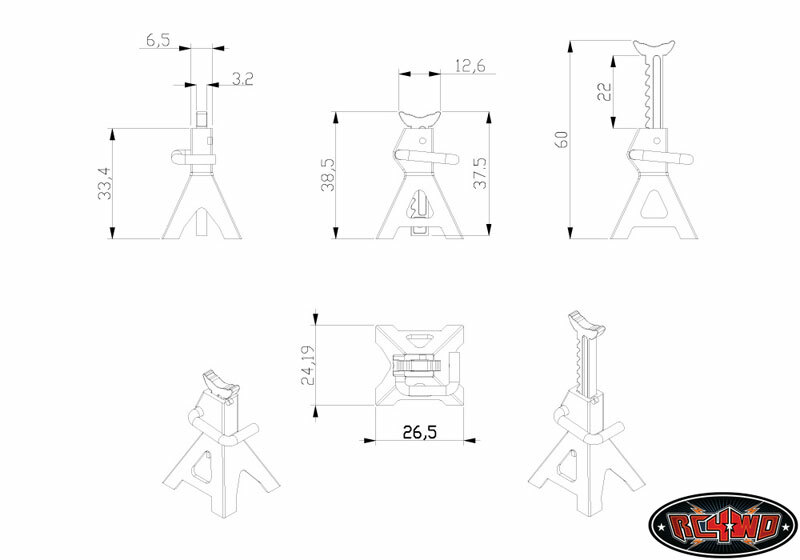 These are the new Chubby Mini Jack Stands made to lift your truck up to work on it, or just show it off. 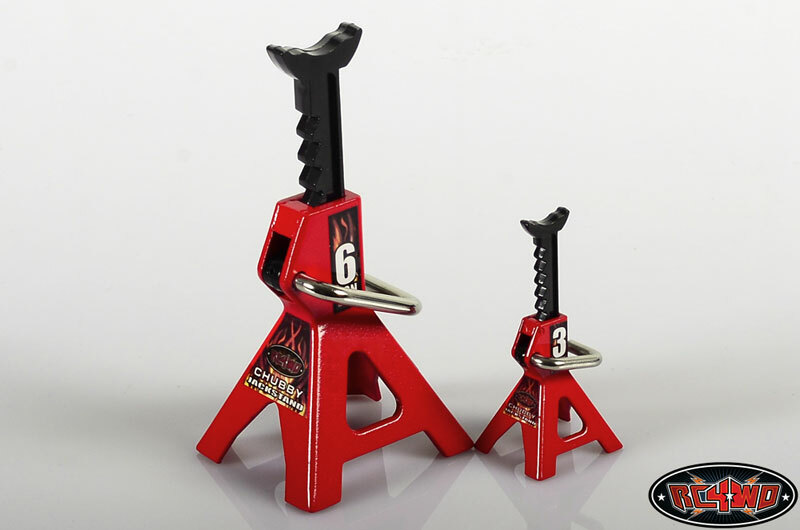 Realistic down to the decal details on the stand. 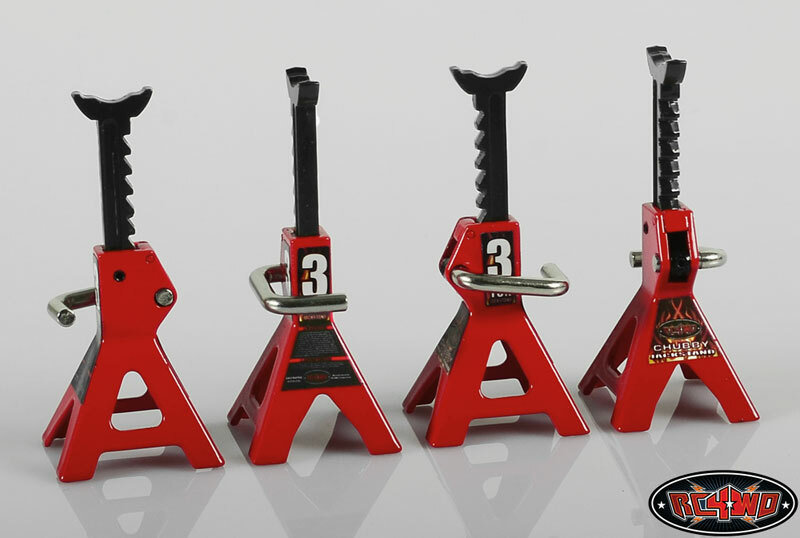 Fully functional working units. 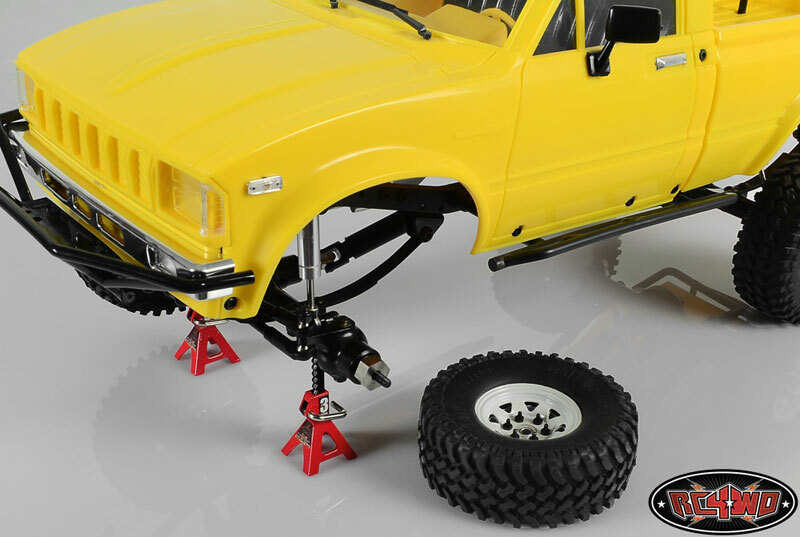 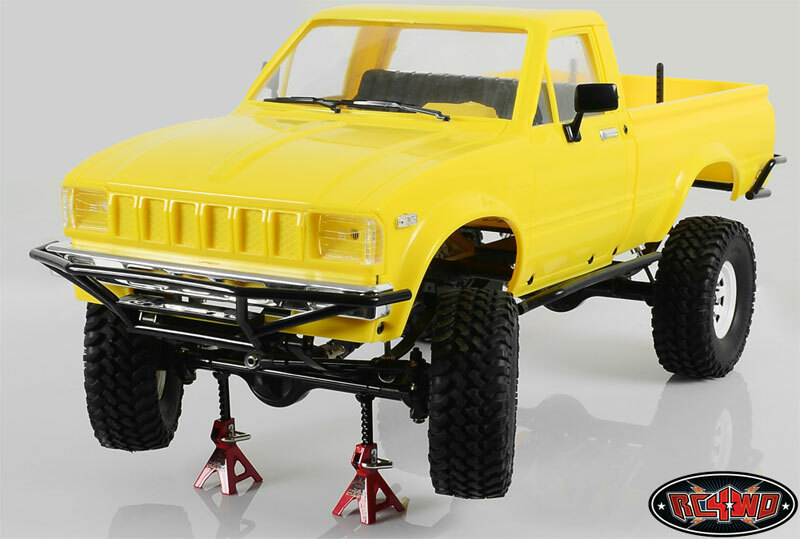 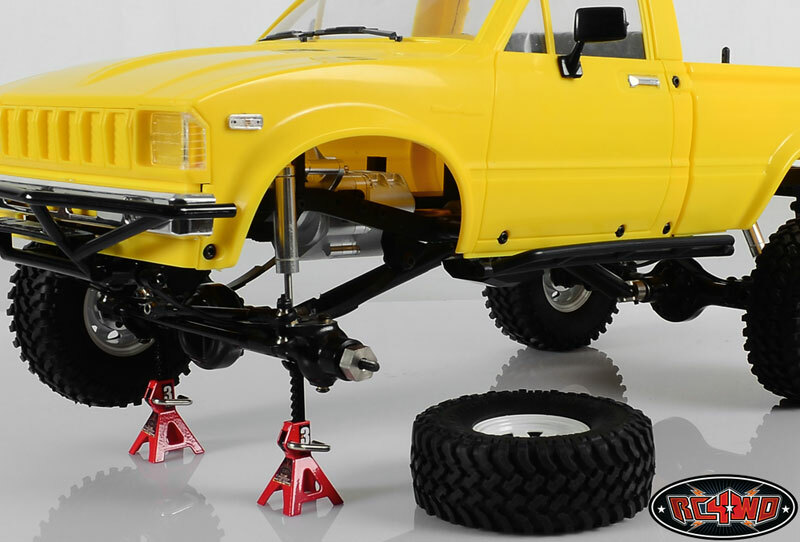 Shown with RC4WD 1/10 V8 Scale Engine (Z-S1043), RC4WD R4 Ultimate Scale Single Speed Transmission (Z-U0031) and Chubby Mini 3 TON Scale Jack Stands (Z-S0731) for example (Not Included).